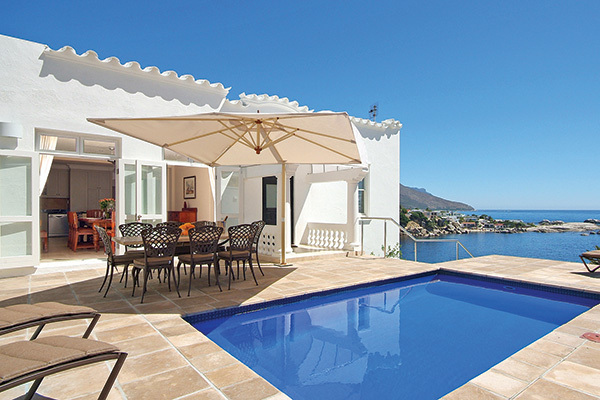 Bingley Place, in Cape Town’s famous suburb of Camps Bay, is an elegant, picturesque, double-storied residence which can be rented as a self-catering Villa of 5 bedrooms with bathrooms en suite with wonderful pool, deck and outdoor dining area with a view surpassing all views! 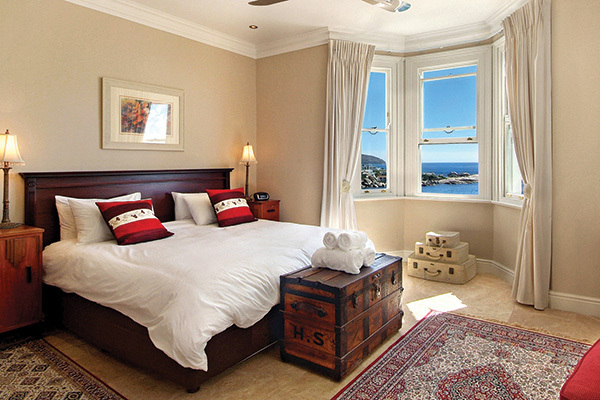 This is the perfect Camps Bay accommodation for those travelling with families or a group of up to 10 who wish to be very close to the sea. 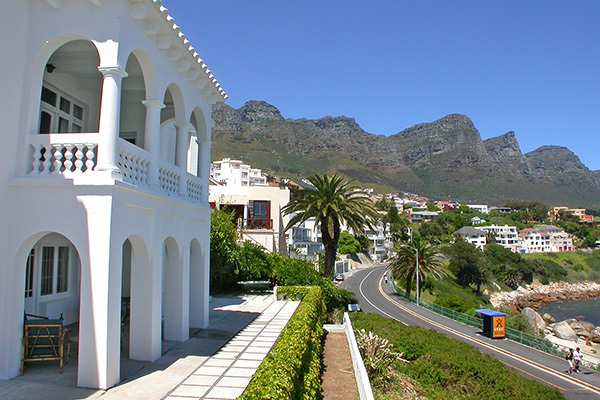 Bingley Place is only 320 meters walking distance from the world famous Camps Bay main beach with its many renowned restaurants, pavement cafes, cocktail bars and famous people who want to be seen. It is the St. Tropez of Cape Town! The Villa combines both levels of the residence being the House (3 double bedrooms) and Garden Apartment (2 double bedrooms) that have fully equipped kitchens with all the modern conveniences you might need to make your stay extremely enjoyable and comfortable. Other features that make Bingley Place Villa so special are fans and heater panels in every room, cozy fireplaces, WiFi Internet, cable TV, DVD player and an armed response alarm system on both levels, with surround sound system and air conditioning/central heating in the living and dining areas of the House. Only the finest percale linen is used and it is fully serviced Monday to Friday. 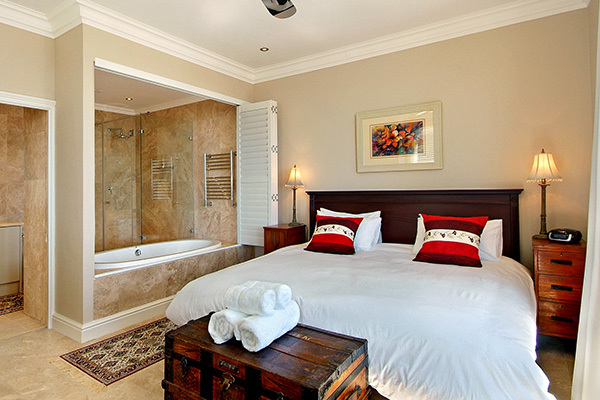 For those who appreciate our star-studded African sky, enjoy romantic bubble baths in our two outdoor Victorian baths, as well as outdoor showers for after the beach or a swim. For those who are musical, here is a piano in the dining room of the House! 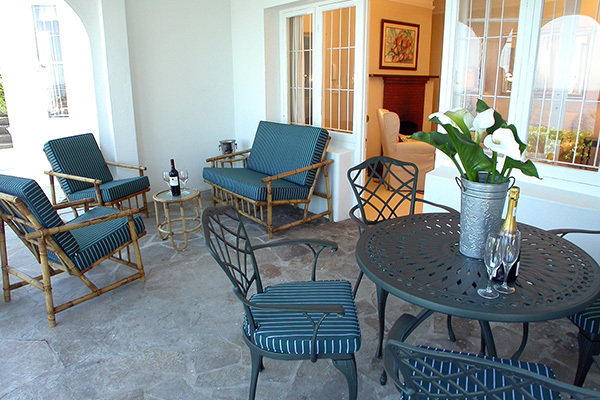 Entertaining is easy while you enjoy sundowners around the pool or the downstairs patio followed by a good old South African braai (barbeque). There is a single lock-up garage as well as 2 dedicated off street parking bays. To wake up every morning and see the breath-taking ocean and mountain views right on your doorstep, is an utter treat and one never tires of the beauty and ever changing scenes depending on the weather! Bingley Place is addictive! In addition, the spectacular sunsets are mesmerizing!